I recently had a great discussion with a group of business people about the growth in our local economy. One individual was specifically concerned with the amount of city tax dollars spent on recent developments in Pittsburg. As I explained that only a small amount is tax dollars, it occurred to me that this may not be a well-known fact. From 2013 through 2018, over $438 million has been spent or committed to projects within the city limits. That investment has created over 1,290 jobs. Of this amount, only 6 percent is city money. City funds usually are in the form of bond proceeds, revolving loan funds or operating funds. The majority of the city portion is spread over a seven- to 10-year period. The actual impact on the annual budget is small. An analysis of the city’s investment shows that 70 percent is infrastructure to support growth, in the form of roads, utilities, intersections and parking lots; 20 percent was committed to the Robert W. Plaster Center at Pittsburg State University, which has already paid for itself through the hospitality revenue generated by numerous track and field events held here each year; and nearly 10 percent was for loans and grants from the revolving loan fund to directly support our local manufacturers as they reinvest in their facilities and add jobs to our community. 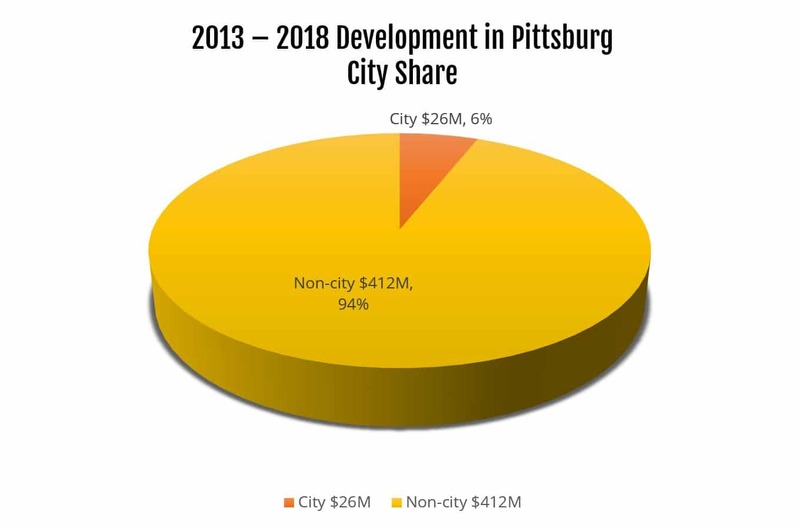 In addition to the city funds, over $412 million has been invested or committed to Pittsburg by other agencies, private individuals or companies, including PSU. For a city with a population of just over 20,000, that says a lot about the corporations, philanthropists, investors, and citizens who make this their place of business. 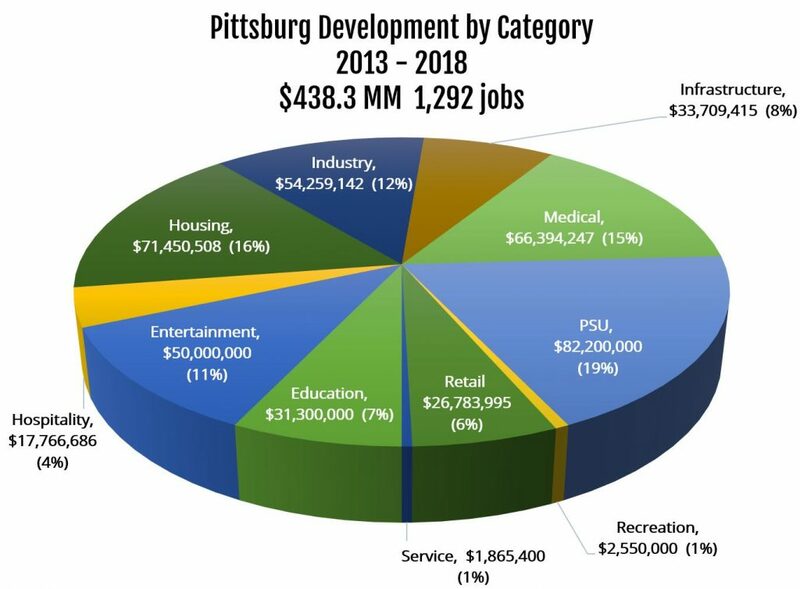 As a community, we are fortunate for this kind of investment in Pittsburg, and as your city we are proud to be able to contribute to many of the worthwhile projects, which provide services, create jobs, improve your quality of life and keep our community safe.